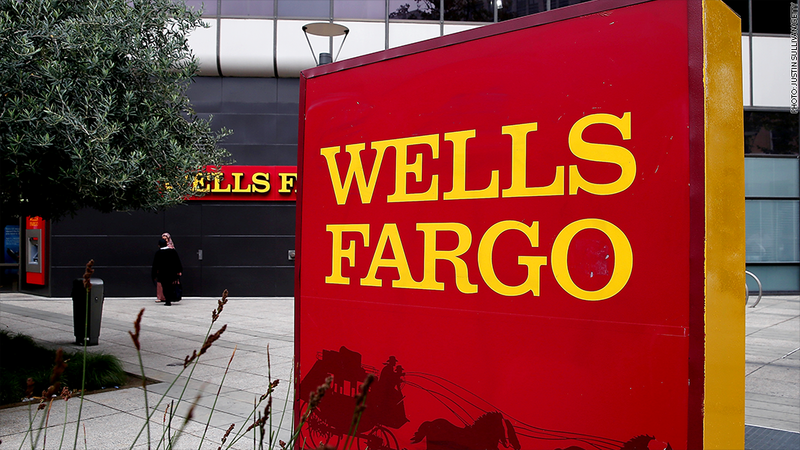 Wells Fargo and other banks plan to stop offering their short-term, high-interest loan products. Several big banks are exiting the small dollar, short-term loan business after federal regulators warned that they would look into whether these high-interest, payday-like loans violate consumer protection laws. Wells Fargo, U.S. Bank, Fifth Third and Regions announced last week that they would discontinue their so-called deposit advance products. These are typically short-term loans of a few hundred dollars or less that are automatically repaid from a customer's checking account each pay period. Likened to payday loans, they often carry triple-digit interest rates when calculated on an annualized basis. Banks have defended the loans, saying they help customers when they need an emergency line of credit but can't qualify for a traditional loan. But consumer advocates, like the Center for Responsible Lending, call them "predatory" and have called on federal regulators to ban the products. They say the loans carry such steep fees that borrowers often can't afford to pay them back by the time the loan is due -- leading them to renew the existing loan or take out a new one. A report from the Center for Responsible Lending found that advance loans issued by banks carried an average term of 10 days, with a fee of $10 per $100 borrowed -- amounting to a 365% APR. Customers remained stuck in the loan cycle -- meaning they owed money to the bank -- for an average of 175 days per year. In November, the Office of the Comptroller of the Currency and the Federal Deposit Insurance Corporation issued a warning to banks that offer deposit advance loans, saying that small-dollar loans need to be affordable and that the borrower's ability to repay needs to be taken into consideration when issuing these loans. The two agencies said they would examine the banks' products to see if they meet these requirements. And now, several banks have decided to scrap these loans altogether. U.S. Bank (USB) said Friday it is ending its deposit advance program on Jan. 31 for new customers and discontinuing the program for existing customers on May 30, in order to "align with final regulatory guidance" from federal regulators. "We recognize our customers' need for short-term, small dollar credit," Kent Stone, vice chairman of consumer banking sales and support at U.S. Bank said in a statement. "We are committed to finding new solutions that meet the needs of all of our customers and fit within the current regulatory expectations." Wells Fargo (WFC) said checking accounts opened after Feb. 1 will no longer be offered its "Direct Deposit Advance" service, and existing customers will only be able to continue using the service until the middle of the year. Regions' (RF) Ready Advance product will no longer be available for new customers as of Jan. 22, and the bank is developing a transition plan for existing customers. Fifth Third Bank (FITB) announced on Friday that it will stop offering its deposit advance service on Jan. 31 and will wind down its program for existing customers by the end of the year. Consumer advocates celebrated the news. "The Consumer Federation of America applauds the elimination of these products, which harm consumers through high rates and an insufficient consideration of borrowers' ability to repay without additional borrowing. This is a very positive step for consumers," Tom Feltner, director of financial services at CFA, said in a statement.